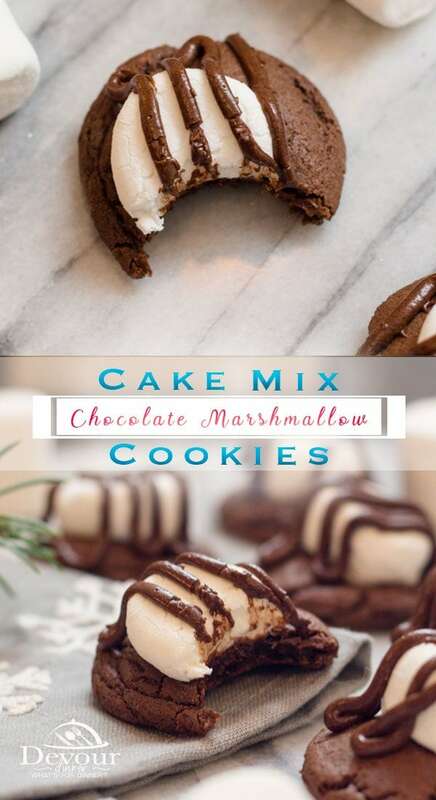 Cake Mix Cookies are the BEST and these Devils Food Cake Mix Cookies are rich and soft and chewy and a family favorite for sure. These Cake Mix Cookies are a great base cookie to then make into multiple ways. 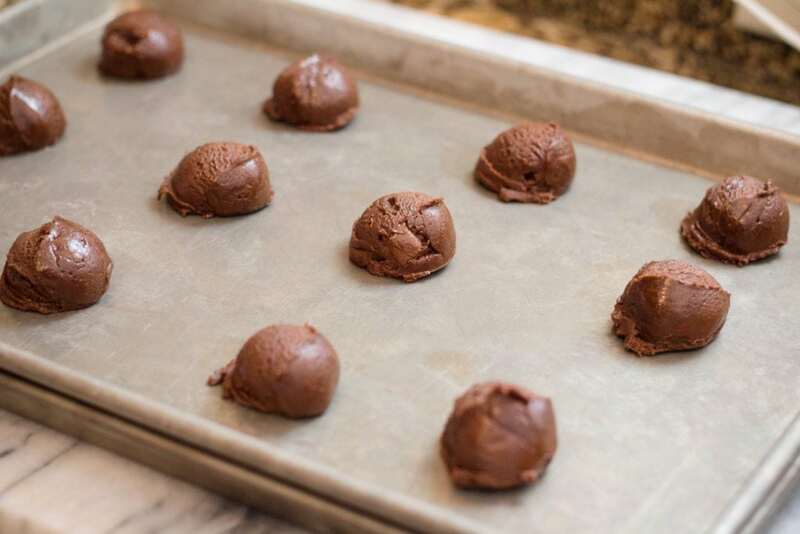 Chew Chocolate Cake Mix Cookies are a great way to make cookies without all the mess and fuss. We love to make these cookies multiple ways by adding additional toppings or fillings. One of our other favorites is our Homemade OREO Cookie recipe. Check it out, it’s amazing too! Cake Mix Cookies were the first cookies I helped teach my younger boys. They were a little or a lot less coordinated than girls for their age so a recipe with very few ingredients was perfect. And I loved how chewy these Devils Food Cake Mix Cookies are so it was a win win in our home. 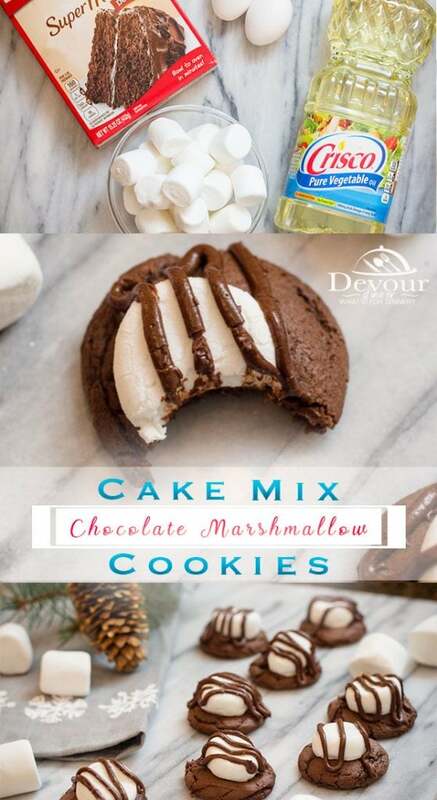 Cut large marshmallows in half and place 1/2 of marshmallow on top of each baked cookie and place back into the oven for 1-2 minutes more. 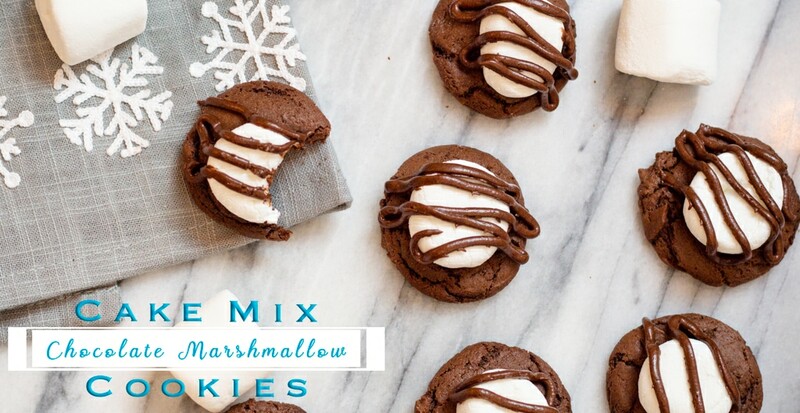 For this recipe we placed 1/2 of a large marshmallow on top of each cookie as it comes out of the oven and then throw it back into the oven for 90-120 seconds to melt the marshmallow just a little bit. Then we pull out the baked cookies and put them on a wire rack to cool. Cake Mix Cookies are cookies made from a cake mix with a few other ingredients. They can be made with most any flavor of cake mix too! What do Cake Mix Cookies Taste Like? Yummy! They taste like the cake mix you use. We love the Devils Food Cake Mix Cookies as they are rich and chocolatey and good. YES! We have found that if you do not over bake your cake mix cookies they are chewy and soft. Can I use any flavor Cake Mix? 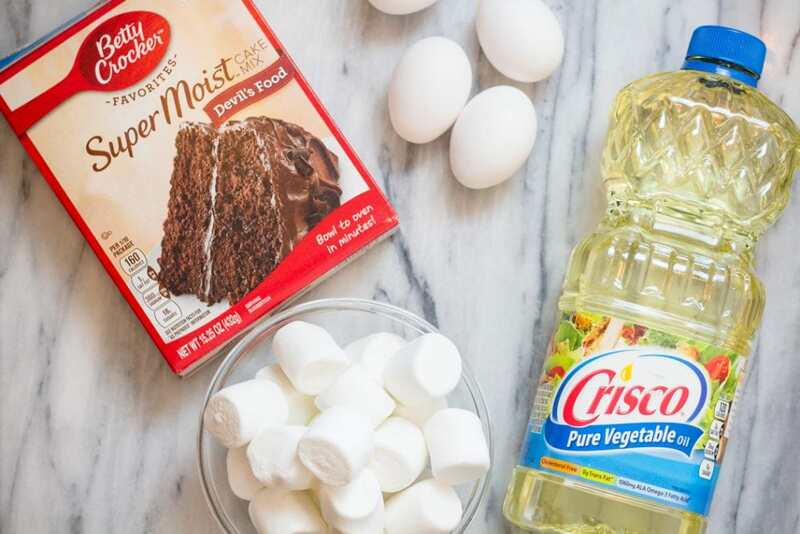 You can certainly use any flavor cake mix, in fact.. It’s so fun! I find that a Devils food cake mix makes a thicker dough. But the sky’s the limit with other variations of Cake Mix Cookies! YES! I Freeze cookies all the time and LOVE it! 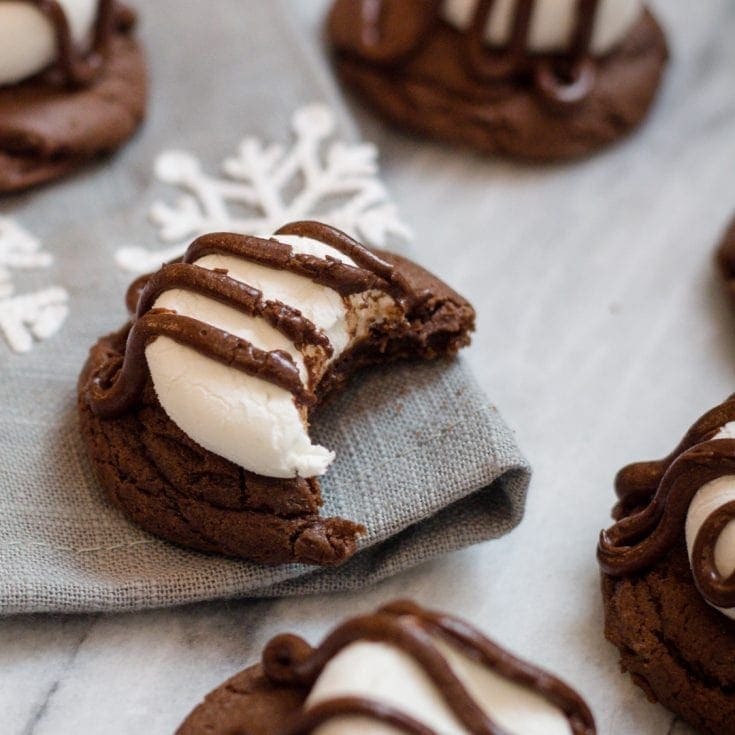 These cookies do freeze just fine. 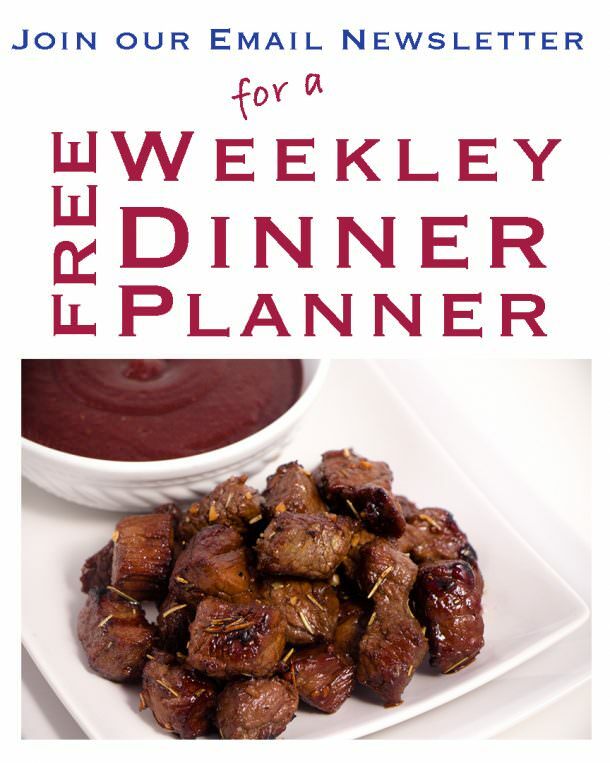 To Thaw, remove from the freezer and place on the counter for 20-30 minutes to thaw. 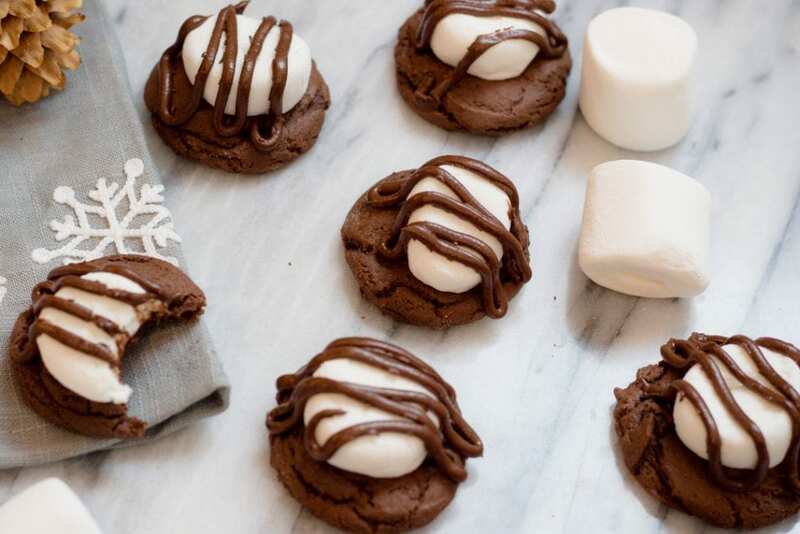 Quick and Easy Cake Mix Cookies topped with a toasted marshmallow and chocolate ganache. A family favorite chocolate cookie. Using a small 1in cookie scoop scoop cookies onto cookie sheet and bake at 350 degrees for 7 minutes. Meanwhile, cut large marshmallows in half using kitchen scissors. Set aside. 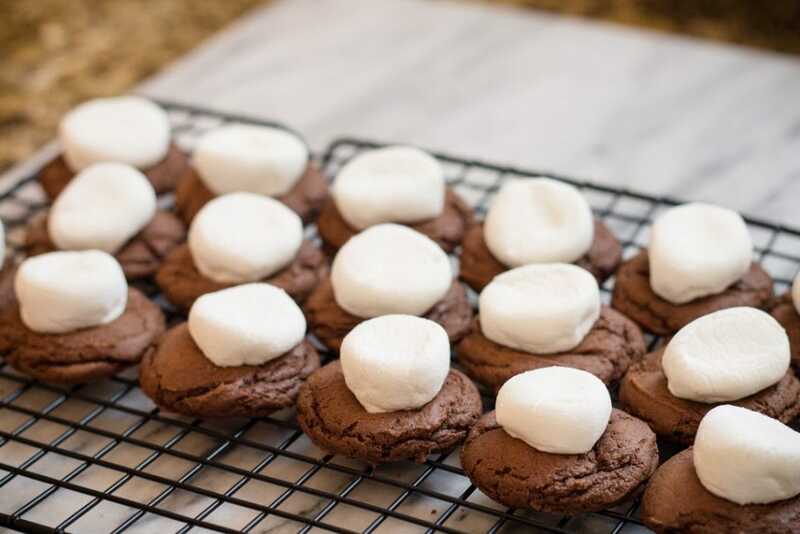 Pull cookies out of the oven after 7 minutes and place 1 cut marshmallow on top of each baked cookie and place bak into the oven for 90-120 seconds. Remove from oven and allow to cool on rack. In a small bowl sift powdered sugar and cocoa. Add softened butter into bowl and mix to cut butter into sugar/cocoa mixture. Place frosting mixture into a ziplock baggie and cut a tiny corner off. Drizzle a zig/zag across each marshmallow topped cookie.